If you are able to log in to IRE you can get to your account support by clicking Help>ContactUs or click the button below. Our team members and their contact details are listed below. Afton joined InspectRealEstate in August 2014 as a Training & Support Consultant for Christine West. Afton brings with her a wealth of knowledge that she learnt from her past experience as a Leasing Consultant, she had used InspectRealEstate for a number of years and became very passionate about the product. Whilst her time as a Leasing Consultant Afton successfully completed her Certificate IV in Property Services. Away from the office, Afton enjoys time with her partner & dog at the beach paddle boarding and hitting the gym! Alara has been working in the Real Estate Industry since 2008, during which time she has evolved through a variety of roles, providing a well-rounded knowledge of the industry. 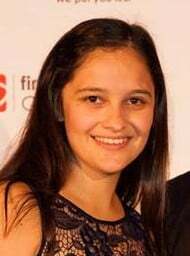 During her time at Prorentals.com.au Alara deservingly received with the ‘Most Valuable Team Member’ award 2 years in a row. Alara previously worked for InspectRealEstate for over 18 Months (as a Training & Support Consultant and Head of Support) prior to commencing her current role. It is this mixture of comprehensive knowledge of the software, teamed with hands on experience in the industry which allows her to understand the needs of her clients & ensure that they utilise InspectRealEstate to its full potential. Her favourite part of working with IRE is being surrounded by such an enthusiastic team, and seeing the benefits that the software is having on our clients, & the industry as a whole. Alara is a passionate Queensland Maroons supporter, and in her spare time enjoys travelling, planning her upcoming renovations and spending time with her husband & bulldogs. Before joining the InspectRealEstate team in 2012, Christine spent a number of years working as a Project Governance Manager. As much as she loved her job she decided to try her hand at a new career and let’s just say she hasn’t ever looked back! Christine initially started on a part time basis however as the passion for InspectRealEstate grew so did Christine’s desire to become an Account Manager within the company. Christine has seen the software progress substantially over the years since her time at prorentals.com.au, where she assisted with Property Management and Administration. Making a difference has always been a major goal of Christine’s and one of the things she absolutely loves about InspectRealEstate is seeing her clients faces when they see the software for the first time and watching them benefit from all IRE offers. In her spare time, Christine enjoys time with her beautiful daughter Jemma, the diversity of Sydney’s life style and catching up with friends. Grania has been a part of the InspectRealEstate Team for over 12 months as an Account Manager. Prior to this, she has been working in the Real Estate Industry for over 12 years, commencing her career within the Ray White family and then spending 2007 – 2013 as Department Manager at RE/MAX Property Centre managing a team of 9 in busy Toowong. It was at RE/MAX where Grania and the team were one of the first users of InspectRealEstate – “number 3”. Managing approximately 450 properties, InspectRealEstate changed the office for the better, it saw the office save nearly a full-time employee handling enquiries alone, stopped time wasting with no shows, and RPC were renting properties at least 13 days faster than before just to name a few benefits. Grania was also finalist for “Property Manager of the Year” 4 years running within the RE/MAX Group Australia wide. Having used the system first hand, Grania is able to provide personal and direct experience of the advantages and time saving functions of software. Grania is passionate about being a part of the IRE family, she loves being involved with such a zealous and enthusiastic team and being able to see the smiles on clients faces when they turn the system on and experience “the IRE difference”. Hermione has been working in the Real Estate Industry for the past 11 years. During this time Hermione has progressed her career through various roles including Leasing Officer, Property Manager. Business Development and Department Manager. Her most recent role has seen her training and coaching agencies all around the country in productivity and growth. 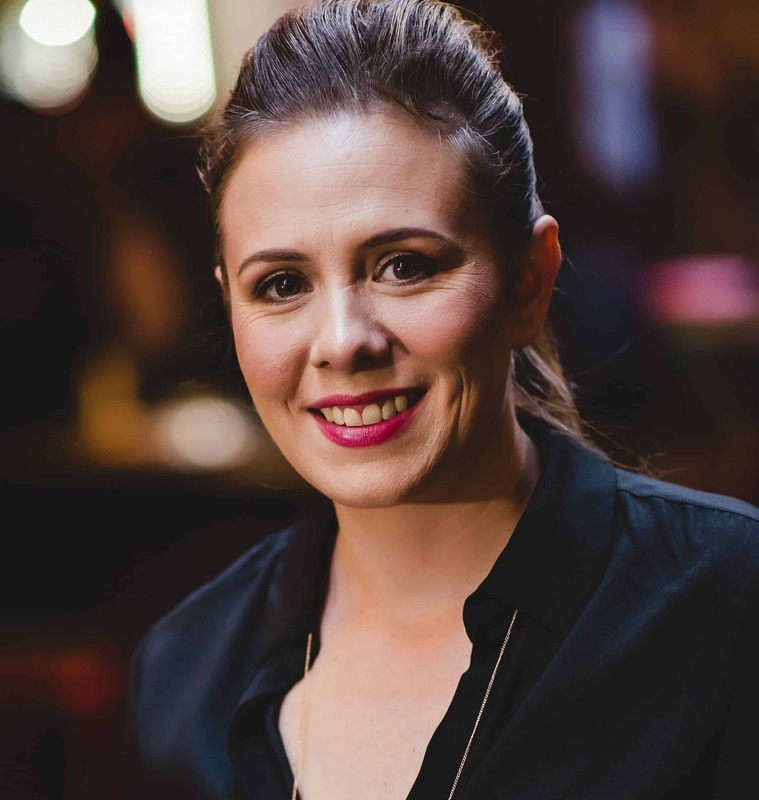 Hermione is passionate about technology, productivity and business growth and has a strong desire to make the lives of property management teams easier and give them more time and less stress. Having worked for both Real+ Training and now Inspect Real estate, Hermione’s understanding of procedure, productivity and business growth is highly regarded by all of her clients. Hermione spends a lot of time outdoors staying fit and active as well as entertaining regularly with friends and family. Courtney has been working in the Real Estate Industry for the past 16 years. During this time Courtney has worked her way up from Receptionist to Business Development and Department Manager. Courtney is very passionate about attracting & also retaining people to the industry and therefore decided to move into the technology space to help Property Managers with tools to make their lives easier and less stressful. Having worked for both Rockend and now Inspect Real Estate, Courtney’s understanding of each step of the property management process is highly valued by her clients. Courtney is a passionate Melbourne Demons supporter and loves to spend time on her country vineyard with her husband. How quickly time flies – With a bunch of fine classmates, Jade graduated with a Bachelor of Technology in 1997 and enjoyed working in the building automation field for the next 2 years. But growing up with a father in real estate for over 25 years, Real Estate was a common talking point in his household and in 2000 Jade started his Real Estate journey, working in different roles and eventually being the General Manager and part owner. It is this journey where he first heard about InspectRealEstate and how it could benefit our own business, keen to take advantage of the software Jade was one of the very first users in Australia and it’s now been in place as a backbone of his business for over 3 years. Since 2013 Jade has enjoyed the opportunity to discuss InspectRealEstate with many agents in his role as a distributor for the product. It is this mixture of knowledge and experience in the industry which allows him to relate to the clients needs. When Jade’s not assisting clients he enjoys the down time with his gorgeous family – there is always plenty to enjoy with 2 sons, 1 daughter, a loving wife and a senile old dog! 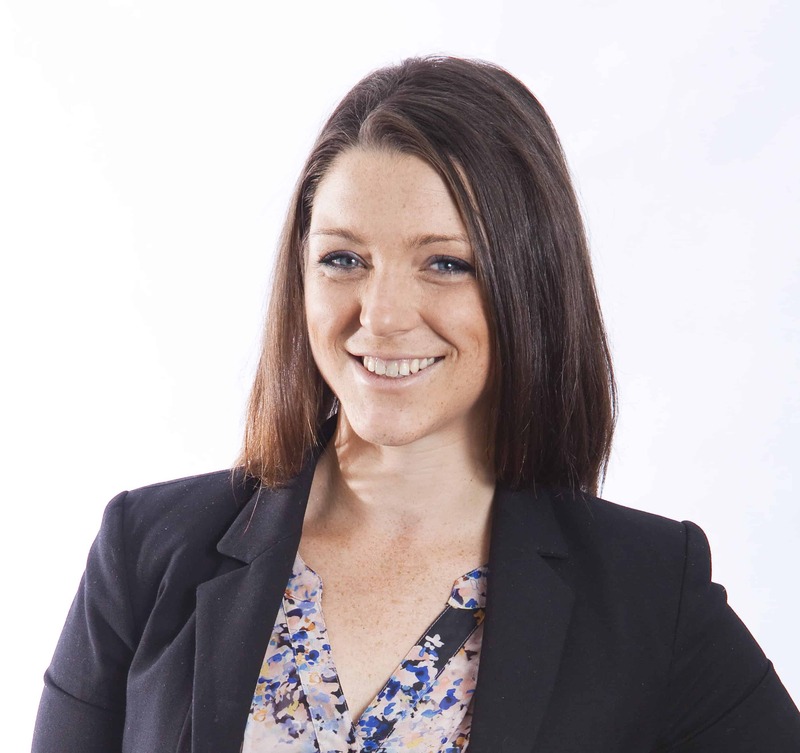 Lana Dixon has recently branched out to become an InspectRealEstate Melbourne based Account Manager. Lana has been working in the Real Estate Industry for the past 5 years, during which time she completed a Certificate IV in Real Estate. She’s been lucky enough to experience our software from both sides of the table – She was originally a user of IRE at First National, where she managed reception & assisted the Property Managers. She quickly embraced IRE before becoming a Training & Support Consultant for Rod McLean. Lana also works tirelessly at handling all of IRE’s ongoing Event commitments. Lana loves helping people, in particular she takes great satisfaction from showing her clients how our software can create efficiencies in their day as well as demonstrating faster ways to lease their properties. Lana recently decided she wanted a change in lifestyle and uprooted from the sunny Sunshine Coast to live in Melbourne. When she’s not training at the gym she likes to meet new people and enjoys exploring the city, discovering quirky cafes, and a good espresso martini. Rod’s extensive Real Estate career spans 25 years of selling and Property Management, 19 of those as Principal at First National Maroochydore; one of the Sunshine Coast’s largest Agencies. Some highlights in that time include Number 1 office Australia wide for growth within the Property Management department, the result of Rod’s dedication and commitment to wanting to be the best in the business. In 2010, a conscious decision to aggressively build the rent roll was made, and by 2012 the number of properties were doubled, reaching 450 and growing. It was in 2012, that Rod was introduced to Inspect Real Estate and saw the immediate benefits of the software to the business. Rod knew it wasn’t just an online booking system, it was a tool that allowed him to identify where there was room for improvement in his business. The opportunity to join the IRE Team as an Account Manager was an easy decision and since May 2013, Rod has introduced the product to hundreds of happy clients. “It’s an awesome time saving programme that every Real Estate office will have. The benefits are fantastic”. When not busy with IRE and his growing team, Rod enjoys family getaways with wife Cheryl and their 3 children, Dallas, Cam and Hayley. If there is an opportunity to wet a line, in search of a flathead or barramundi, even better! Rachel’s passion for Real Estate commenced in 2006 as a Receptionist for Barry Plant in Blackburn. A love of people and property and a keenness to develop her career was the ideal combination to see Rachel’s career progress to Property Manager and eventually, Department Manager at Ray White in 2014. When Inspect Real Estate was introduced to Rachel’s Property Management office in 2014, Rachel experienced the benefits first hand; seeing how the product bought improved efficiencies to the business instantly. For 12 months, Rachel has loved working with Inspect Real Estate and is passionate about bringing the product into other businesses. Rachel is the newest member of the Team, working for Account Manager Rod McLean and based in Melbourne. Rachel has fantastic skills with people and is very enthusiastic about building strong client relationships and ensuring superior customer service. Understanding the importance of staying ahead of the competition, Rachel knows what this product can do for your business. Being from Victoria, Rachel is a passionate Richmond supporter. In her spare time she enjoys spending time with her partner and family whilst cooking a variety of cuisines using her Thermomix. Greta Woznyi joined the IRE team in January 2015 as a Training & Support Consultant. At the end of October 2015 saw Greta transition to the Head of Support role. She joins us after 8 years as a Property Manager, during which time she completed a Diploma of Business, as well as a Diploma of Management. Greta achieved great success during her 4 years at Rental Express (one of Queensland’s largest privately owned Property Management organisations). During this time she was awarded with The Property Management Excellence Award in 2013 & 2014, as well as Property Manager of the Year 2014. Greta has seen the IRE software progress substantially over the years – Having used the software in its early stages at prorentals.com.au, followed by ongoing use during her time at Rental Express. What Greta loves most about being a part of IRE is the positivity and team atmosphere that the company encompasses. She enjoys seeing the substantial benefits our clients experience from using the software, especially the impact it has on their day to day tasks. Ruan joined the IRE team in August 2016 as a Training & Support Consultant within Greta Woznyi’s team providing second level support to Account Managers across Australia. after 4 years in Property Management. During his time in Property Management he achieved great success with Rental Express/Little Real Estate. After 2 years as a property manager with Rental Express he stepped into an Office Manager role, overseeing an office of 6 Property Managers managing roughly 900 properties. Ruan experienced the benefits of InspectRealEstate first hand having used the software throughout his Property Management career and cannot imagine being a property manager without being able to use InspectRealEstate. Ruan believes the best part of working at InspectRealEstate is being able to train clients on how to get the best out of the software and seeing the positive impact it has on their day to day tasks. Scott joined the IRE team in January 2017 as a Training and Support Consultant within Greta Woznyi’s team providing second level support to Account Managers across Australia. After becoming a qualified Remedial Massage Therapist, Scott decided to explore other interests in his life. Having always had an interest in technology, he chose to study IT Networking and received his Diploma. Having always loved helping people, Scott leapt at the chance to join the support team at IRE. He enjoys finding solutions to people’s problems and helping them make the most out of InspectRealEstate’s software. Scott believes the best part of working at IRE is that everyone has a constant view to improvement and is always willing to assist someone needing help. John joined the InspectRealEstate team in June 2016 as the Security Officer. John joins the team having worked in real estate for 2 years, where he was first introduced to the InspectRealEstate software. Prior to making the move into the real estate industry, John spent time studying and working in various industries, gaining experience in many areas. He has travelled on several extended trips throughout Europe over the past few years learning life skills. John is currently studying a Bachelor of Business (Marketing) at QUT while working full-time with InspectRealEstate and loves being part of the ever-growing team and increasing his knowledge about data security within the real estate industry. Jesse Berlancic joined the IRE Team in December 2017 as an Assistant Support Consultant within Greta Woznyi’s team. Before joining us, Jesse volunteered with the State Emergency Service and Diabetes Queensland whilst completing his dual degree in Business (Management) and Behavioural Science. He enjoyed the problem solving opportunities his studies offered and developed considerable interest in software assistance, having seen its value in research. This, as well as a desire to help others on his own time through volunteering, naturally married with a role in IRE’s support team. Jesse feels the best part of working at IRE are the extensive learning opportunities and variety in the tasks he takes on. Being part of a fun and encouraging team is an added bonus! Natalie joined the IRE team in May 2018 as a Technical Support Consultant within Greta Woznyi’s team, providing second level support to Account Managers across Australia. With a very eclectic range of interests and training, Natalie has experienced a wide variety of working environments to draw from when applying herself to her work. After spending 12 months with the Australian Defence Force, Natalie then completed studies in Justice and Psychology at university, before joining IRE for a change of scene. She also ran the QUT Auslan Society for over two years, organising and assisting students in learning sign language, which contributes to her supportive and helpful nature. Natalie loves her time with InspectRealEstate, especially being a part of such a friendly, welcoming team. Kaylen joined the IRE team in February 2018 as a training and support consultant within Greta Woznyi’s team. Prior to joining the team, Kaylen spent the last 4 years in the real estate industry where she started as a leasing consultant before transitioning into a property management role. 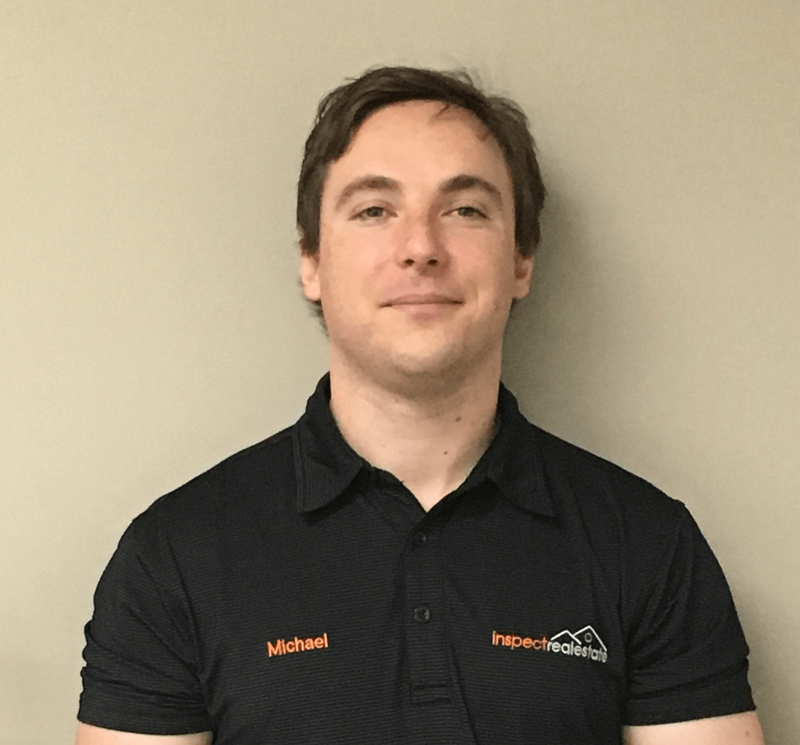 Mike is an electronics engineer and has a Bachelor of Electronics and Electrical Engineering. Mike leads the technical development of IRE. Andrew Reece has more than 15 years experience in the Real Estate industry. He is well known for his intense passion for the industry, honesty and practical down to earth strategies for profitable, organic growth. Andrew is a Certified Practising Accountant and has a Bachelor of Business majoring in Accounting from Queensland University of Technology.Working as a Real Estate Accountant for 3 years preparing monthly management reports for 25 of south east Queensland’s leading Real Estate agents, lead to his involvement in bringing the Franchise of RE/MAX to Australia. Andrew then worked with the RE/MAX Corporate team in establishing the first 8 RE/MAX franchised Real Estate offices. Andrew went on to become a partner in prorentals.com.au, a 100% pure property management company which opened for business in 1998 with 30 properties. prorentals.com.au managed over 1,700 properties and employed 32 full time staff. Operating from the one office in Toowong, Brisbane, Queensland, prorentals.com.au organically grew 2,743 new managements. In late 2011 prorentals.com.au completed the sale of it’s properties under management. Andrew learnt how to grow a business from first hand experiences & mistakes. It is this first hand experience that led Andrew to co-createinspectrealestate.com.au. Andrew identified the need for a solution to the time consuming task of manually following up on leads, booking inspections, and creating inspection runs. The inspectrealestate.com.ausoftware automatically captures tenant details and allows tenants to book inspections online. It enables Property Managers to plan their inspection runs with the simple press of a button, allowing them to focus on the real task at hand – Property Management. Paul has had a multifaceted career and business life. After graduating with a Bachelor of Commerce he embarked on a career in the Automotive industry where he eventually found himself in California, operating as Vice President of an Australian Automotive exporter. The new millennium saw Paul re-evaluate his life and he decided to return to Australia and become a Life and Business Coach. It was in his coaching capacity that he began his association with Real Estate, and Property Management in particular. As a Business Coach, Paul has been fortunate to have worked with some very successful and driven Property Management businesses and has seen first hand what is required to operate at the leading edge of the industry. The IRE platform allows every Property Management firm access to the very same tools those successful businesses developed and as an IRE Distributor, Paul is enjoying being able to assist his clients to use this technology to achieve their goals. After completing her Bachelor’s degree at Otago University in New Zealand, Rebecca started in the real estate industry working for Rented in New Plymouth, NZ. In December 2011, Rebecca made a decision to ‘cross the sea’, and came to Brisbane and started as one of the first employees for InspectRealEstate. Since then, Rebecca has worked as a Training & Support Consultant for InspectRealEstate for the past 3 years. This experience has allowed her to gain a broad knowledge of the software as it has expanded and grown over the years. Her favourite parts of working for IRE are the fantastic team, being involved with a product which continues to grow and improve, seeing the benefits our clients experience using the product, and of course the short commute to work!